More than a decade ago, Delaware native Jimmie Allen moved to Music City with only $21 to his name after dropping out of the University of Delaware. Working odd jobs, he focused on songwriting and performing at any writers round or show he could book. 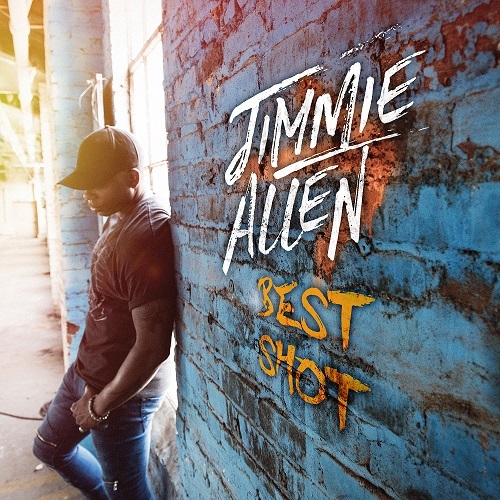 Now, the 33-year-old finds his debut single “Best Shot” occupying the top slot as the most-played song on Country radio for a second consecutive week after a 41-week climb on the charts. Written by Allen, Josh London and JP Williams, “Best Shot” is the first single from Allen’s Stoney Creek Records / BBR Music Group debut album Mercury Lane, a project The New York Times opines is “optimistic, rock-inflected country.” His 15-track debut is named for the dead-end street in Milton where he grew up. With a population of 2,914, Allen’s father first introduced him to Country music in the sleepy town where corn and soybean fields line the two-lane road. “Mercury Lane is where my journey began. All of the fundamental life lessons that shaped my values, I was taught on that street—its where I learned about love, life, how to believe in myself, the concept of never giving up, following your dreams and being a good person. I credit my time spent there with my family for shaping me into the man I am today,” Allen reflects.